This web utility will assist you to kick start your website design and website layout using “Blended HTML” free online tool. 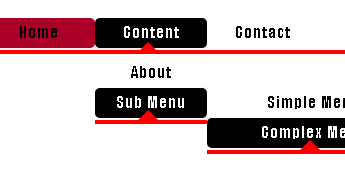 The utility generates a complete HTML and CSS style sheet scripts based on graphical layout utility which accessible from editor tab. The utility includes several features as described below and is provided absolutely free of charge. The generated code has no hidden commercials, spam and etc. Using this tool you will be able to build the layout of the page from scratch by using simple and user friendly drag and drop gestures. There is no restriction on the position of the DIV blocks on page. You can add as many headers and footers as you wish, moreover there is no tabular data in the layout, all elements are positioned purely in CSS in an external style sheet. The layout generator is designed for enthusiasts, students as well as for experienced web designers who are looking to save the precious time. Cutting Edge Technology - For best experience we advice to use the browsers as listed in "Browsers Support". Why you should try this free generator?! Need to know How To, view this short video example! View this brief tutorial example how to create layout. This is a short tutorial demonstrating how to create simple layout and get basic understanding how to use this on-line code generator. For better explanation turn on subtitles. Website Layouts the way you want it - so for who is it built for? !